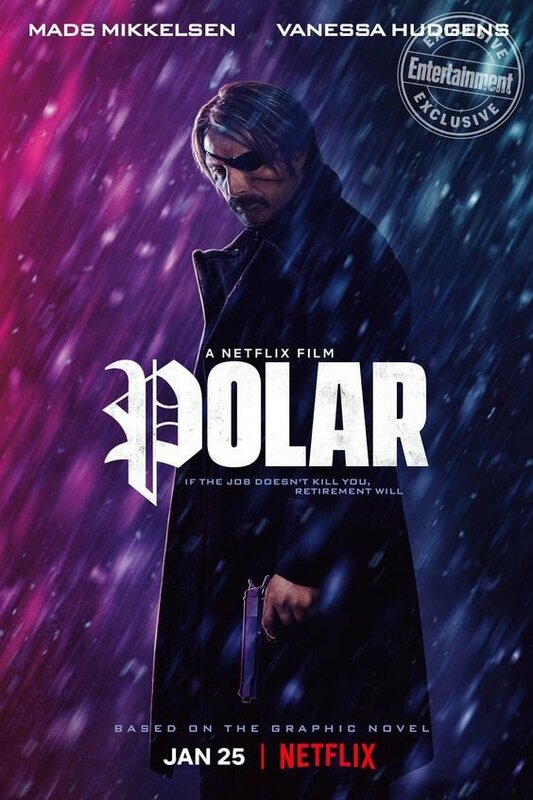 Constantin films and Dark Horse Entertainment have joined forces to bring Polar to the big screen, in a Netflix production written by Jayson Rothwell. 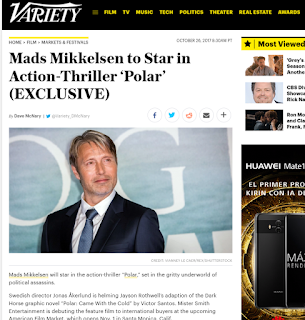 The movie is starred by Mads Mikkelsen (Casino Royale, Hannibal, The Hunt, Rogue One: A Star Wars story), Vanessa Hudgens (High School Musical, Spring Breakers, Sucker Punch), Katheryn Winnick (Vikings, The Dark Tower)and Matt Lucas (Alice in Wonderland, Doctor Who) and directed by awarded videoclip and movie director Jonas Akerlund. The Netflix release will be 25 January. Constantin films yDark Horse Entertainment han unido fuerzas para llevar a Polar a la gran pantalla, en una producción de Netflix escrita por Jayson Rothwell. La película está protagonizada por Mads Mikkelsen (Casino Royale, Hannibal, la Caza, Rogue One: Una historia de Star Wars),Vanessa Hudgens (High School Musical, Spring Breakers, Sucker Punch), Katheryn Winnick (Vikings, La Torre Oscura) y Matt Lucas (Alicia en el país de las Maravillas, Doctor Who) y dirigida por el galardonado director Jonas Ackerlund. El estreno en Netflix es el 25 de Enero.